Our process is designed to make sure that each canine service companion is perfectly matched and personally trained for your family and special child. Our training philosophy and methods are based on those taught at Bergin University of Canine Studies and concentrate on the bonding between family/child and dog. Our mission is to be there for families starting at the inquiry stage, through the training period of both dog and family, and throughout the life of their Good Dog! Unlike most service dog organizations, our first step is NOT to fill out an application, instead we prefer to talk to interested families to see if we are a good fit. We feel this is a better way to get to know you, your special child(ren) and any unique needs that need to be addressed. After all, if you have met one child with autism, you have met ONE child with autism! It is part of our mission to share our experience and research so you don’t have to spend valuable time searching for answers. If we all agree that Good Dog! is the right choice for your child/family, the resulting application process is short and quick! Customized training and guidance is what makes the Good Dog! process different. Once dog training is complete, the main handler (usually a parent) will come to San Diego for 5-day Team Training. This is an amazing time when the trainers will work with you, both in groups and individually, to help you understand canine behavior and teach you how to work with your new family member. The week ends with a graduation ceremony to celebrate all your hard work. After Team Training you and your dog will return home together! Our training team will schedule a series of follow up check-ins to make sure everything stays on track at home. This gives you the opportunity to ask questions and work with your dog at home and in familiar public places with the help of the Good Dog! team. All Good Dog! Autism Companions come with FREE follow-up training advice from our professionals as long as you own your dog. You are also invited to become a member of our online family support community. At Good Dog! 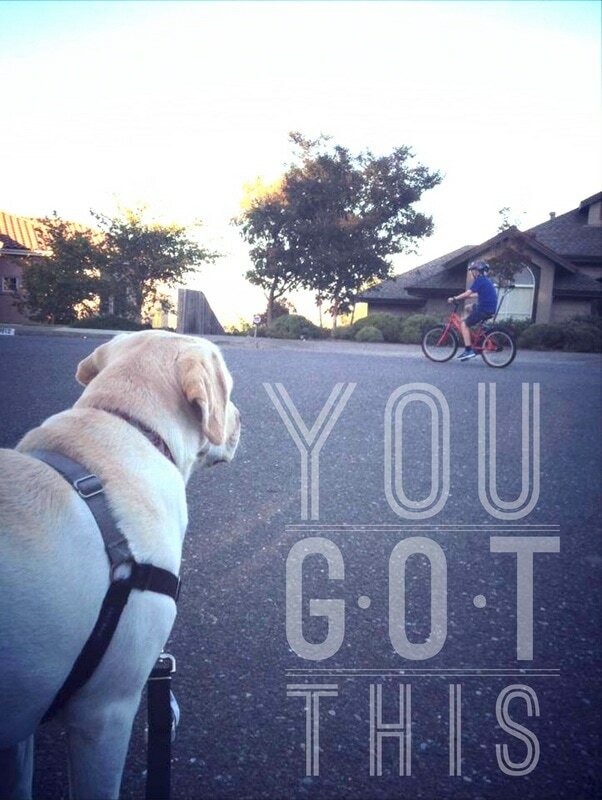 we like to talk to families in the beginning stages of their service dog search, as one of our missions is to help families navigate the process. So, we offer Free Chats - a 30 minute consult with our Executive Director. She can answer all your questions and help guide you in the right direction. At Good Dog! 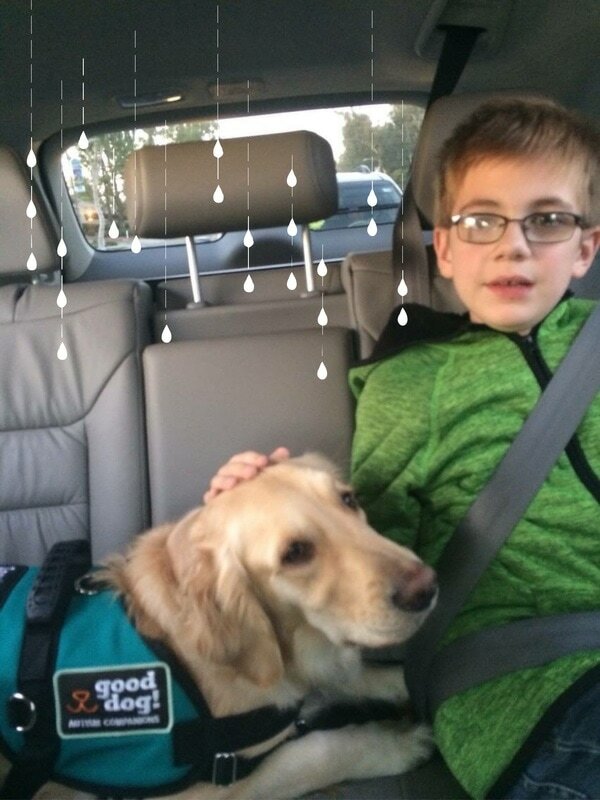 Autism Companions we are here to help families navigate the journey to service dog ownership. Since, we are run by a family who's son has autism and a service dog, we understand how overwhelming sifting through all the information can be. This is why we offer a 30 min. Free Chat to any family wanting information about autism service dogs. If after discussing the different organizations and different kinds of autism service dogs, a family feels Good Dog! is the right organization for them, they may fill out an application. The Board of Directors will review the application and determine if the family is a good fit for our organization. The family must also provide 3 references. When convenient, a home visit may also be part of the application process. There is a $30 application fee. How much does it cost to change a life? Good Dog! needs to raise $26,000 to raise, care and train each dog as well as educate and support each family. With the help of our Family Fundraising Director, families accepted into the Good Dog! program pay or fundraise $16,000. We have seen that the love and support that families receive through fundraising can be a healing process in itself. 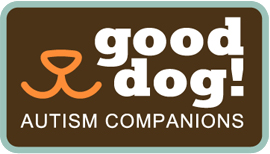 The remaining $10,000 is provided to families in need, through the Good Dog! Scholarship Fund. Each family is also responsible for their travel and accommodations for Team Training week. Our wait list is always changing but the range is 14-26 months. Please inquire for current wait times during your free-chat. We believe that each family should be considered individually. Just as our kids are one-of-a-kind so is each family's situation. We have no age or household restrictions. One Parent must come to San Diego for a 5-day Team Training, travel costs are the responsibility of the family. The child does not attend this training, just the parent who will be the main handler of the dog. Once the parent and dog return home, it is up to the parent to transfer the knowledge to the child at the child's pace and learning style. We do not specialize in safety. If this is your number one priority then Good Dog! is, most likely, not the organization for you. We are happy to discuss your options with you in a Free Chat. We do not place dogs in households where a child's meltdowns may inadvertently harm the dog. Families must agree to do all pre-requisite learning, display an understanding of the teachings, pass the team assessment at the conclusion of the team training, pass the ADI (Assistance Dog International) public access test within one year of graduation, and participate in online follow-up meetings at months 1-6 & 1-year after placement. We use only positive re-enforcement training for our dogs, no prong collars or leash corrections of any kind. We use Bonnie Bergin's training methods and philosophies as taught at Bergin University of Canine Studies. We are a candidate of ADI (Assistance Dog International) and follow their guidelines for training, team & support standards. "Sabrina has now joined the youth group with teens every Thursday night, something she could never do before Good Dog! Romeo. Excited and with great confidence she walks into the group with Romeo always to great greetings from the teens “Hey Sabrina, Hi Romeo” big smiles from the group, and Sabrina is once again welcomed back into the world, kids are happy to see her, not afraid of her and her differences, she is now supported and welcomed. Doors are opening!" "This week bicycling clicked for Adam and he rode all around the culdesac without help. And when he got a moment of anxiety, Mom tried to calm him down and failed. But Good Dog! Siri was there for support and got him back to biking and smiling after just a few moments. These two are so good together!" "Having Aura has increased Aron's language and ability to express himself! It's raining here today, so I was planning on leaving Aura at home while I took the boys to school (she usually goes with us). I put her in her kennel and as we were walking out the door Aron stopped and said "Aura?" I told him that it was raining so she was going to stay home. He very clearly and directly told me, "No! Aura needs to come with us!" So, out of the kennel and along for the ride to school she came, wet, muddy paws and all!"